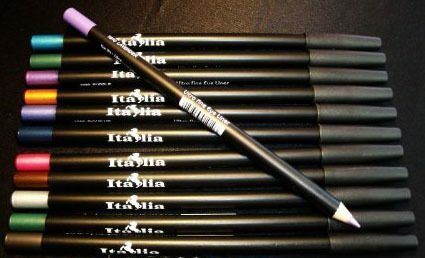 Set of 12 Italia Eyeliners Only $7.15 + FREE Shipping! You are here: Home / Great Deals / Amazon Deals / Set of 12 Italia Eyeliners Only $7.15 + FREE Shipping! Need some new eyeliners that are easy to apply? Check out this deal – get this set of 12 Italia Eyeliners for just $7.15 + FREE shipping! That’s just $0.59 per eyeliner! These eyeliners are metallic, and they have a 4-star rating! Reviewers say they are easy to use and glide on smoothly. I’ve been looking for a good eyeliner that is easy to apply (pencils don’t seem to apply smoothly to me), so I’m totally giving this set a shot!